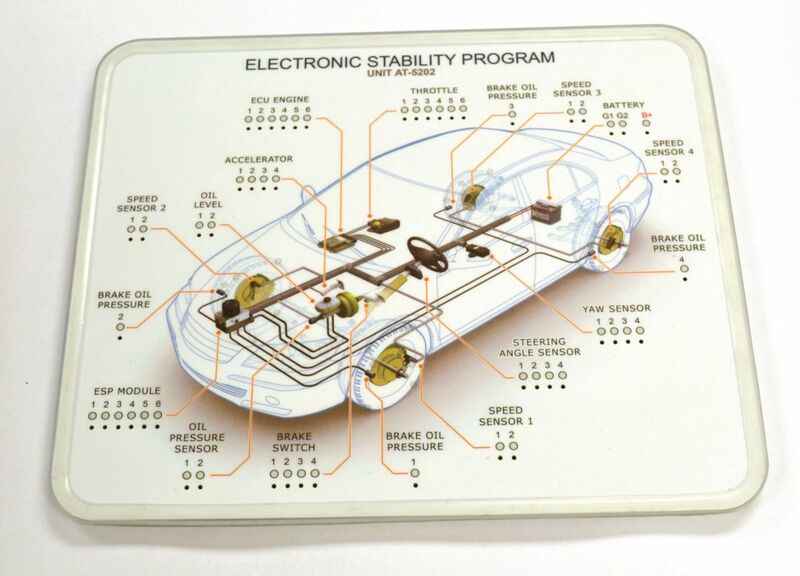 This comprehensive instructional module plugs directly into the Advanced Autotronics Simulator workstation designed to train students on modern automotive electronic stability systems. 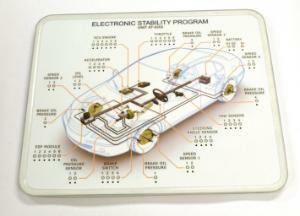 The topics covered on this board include: Electronic stability control systems, wheel speed sensor, yaw (vehicle rotation) rate sensor, steering wheel angle optical sensor, brake oil pressure sensor, brake pedal switch, throttle position sensor, ESP control module for the hydraulic unit, and troubleshooting exercises. The simulator comes with interactive courseware which contains essential theory enhanced with vivid simulations, guided exercises that interact with the Electronic Stability Program simulator, guided diagnostic exercises and self assessment exercises.